Renowned game developer Rare Ltd. introduces "Kameo: Elements of Power," a mystical action-adventure game available exclusively on Xbox 360, where the ability to morph into unique and incredible warriors allows Kameo to search out and battle ever-present evil. Boasting impeccable next-generation graphics and innovative gameplay, "Kameo" shines as a giant leap in game development. Continuing its legacy of creating dynamic puzzles, immersive combat and enormous environments, Rare fuses multiple genres to create a strikingly fun gaming experience destined for widespread appeal. Next-generation gaming. 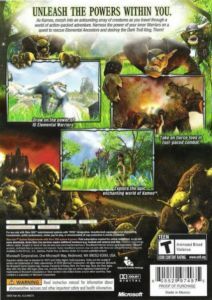 Transcending the common gaming aesthetic with greater cinematic appeal, "Kameo" represents the cutting-edge graphics and gameplay expected of next-generation gaming on Xbox 360. 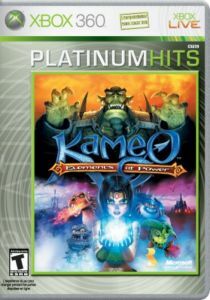 "Kameo" boasts stunning battlefield experiences where gamers will experience thousands of simultaneous enemies with independent artificial intelligence, as well as exciting special effects, high-quality voice-over and high-definition graphics enabled only through Xbox 360. The visceral and engaging online experience is enhanced with the latest developments in Xbox Live support. Immersive and intense cooperative gameplay. "Kameo" enables multiple players to vanquish foes together in split-screen cooperative mode.